Benny Pointer: Benny and John Pointer were inseparable for nine years. Benny was (is) a bundle of joy and light with no ego, who wanted only to share himself with everybody around; the more love, the better. He was born on January 29, 2007, and left his body on January 28th, 2016. Because of his larger than life personality and his no-ego love, he continues to live to this day, and his story is making its way around the world. There is a bumper sticker that reads “Who saved who?” That certainly applies! John Pointer: A full-time professional musician and song writer, John has dedicated his life to the healing power of music, and creativity in general. He has performed in countless bands, musicals, plays, commercials, etc. ; and while juggling a handful of instruments, he also founded Patronism.com, an organization dedicated to building the best connection between patrons and artists, and to define the future of music. John is Benny’s person. Benny called him, “Yay! !” and their bond has clearly transcended Benny’s death as John gives a voice to Benny though his cathartic writing. The world has spoken, and has clearly asked for an illustrated book, so John has responded with a Kickstarter campaign dedicated to making this happen. 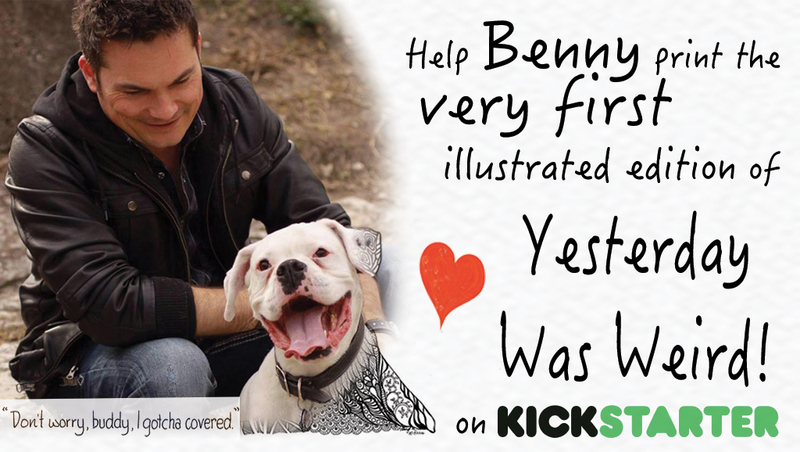 This site is dedicated to the entire vision that Benny inspired, and that John has given voice to. 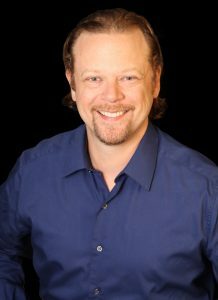 Jonathan Anderson: Jonathan has been in private practice (Professional Counseling) in West Lake Hills since 2001. He specializes in traumatic grief and family counseling. In 2010, spiritual teacher Ram Dass asked Jonathan and 6 other writers from around the country to help celebrate the 40th anniversary of Ram Dass’ classic book, Be Here Now, by working their way through the 108 “From Bindu to Ojas” brown pages , and sharing their experiences and thoughts on the Ram Dass Now blog. 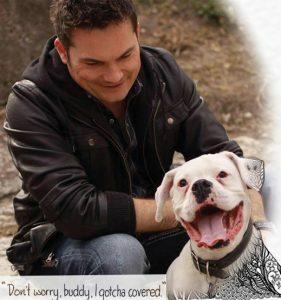 Outside of his professional counseling career, Jonathan enjoys running and playing with his dog, Buddy, at Town Lake and Zilker Park. He trained Buddy as a therapy dog specifically to work with people living with PTS/PTSD and anxiety. Like Benny with John, Buddy is usually not more than a few feet from Jonathan; they too are a package deal.